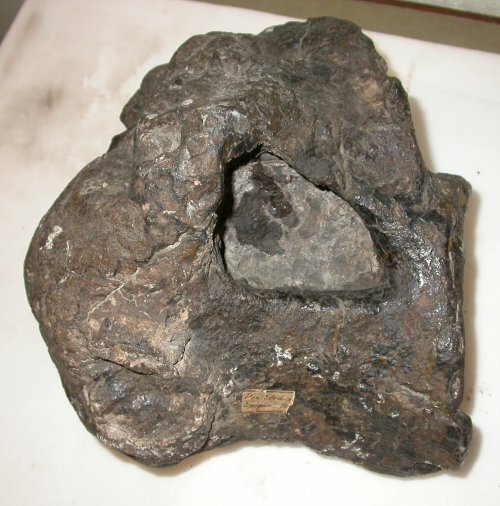 What we have here is one of the lamer sauropod type specimens: it’s BMNH R28632, the lectotype of the venerable Wealden “brachiosaurid” Ornithopsis hulkei Seeley 1870. 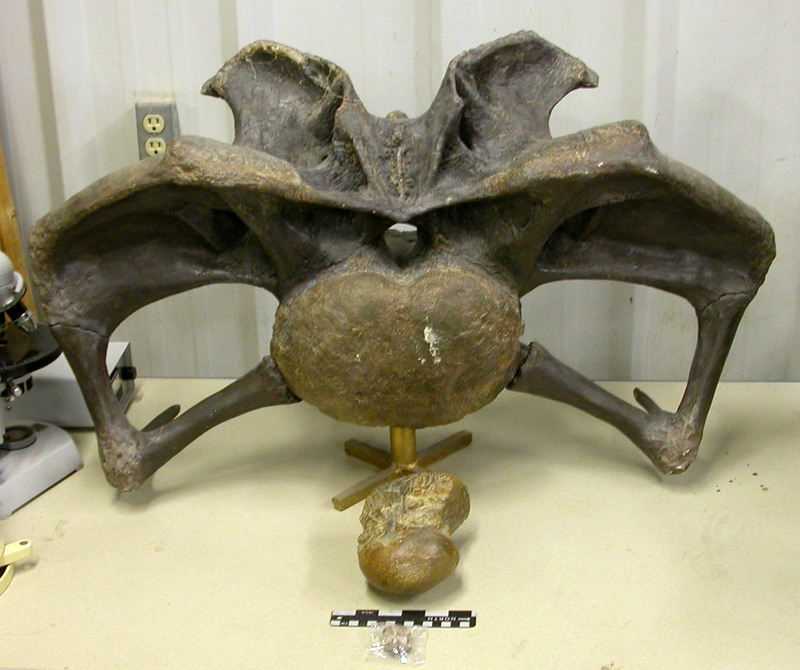 I won’t blame anyone who can’t immediately see what it is: it’s a badly eroded dorsal centrum in left lateral view. 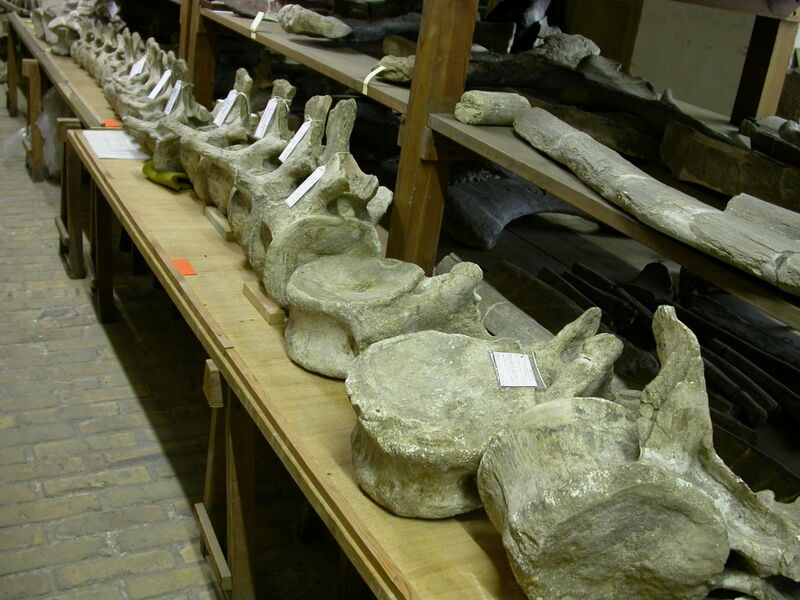 Perhaps surprisingly, this genus was judged valid in Upchurch et al.’s (2004) survey of sauropods. There’s a lot that could be said about this specimen, and maybe we’ll revisit it in the New Year, but right now I need to go and watch Sonic Underground Volume 2 with my boys, so for now you’ll have to content yourselves with the picture. The famous (infamous?) 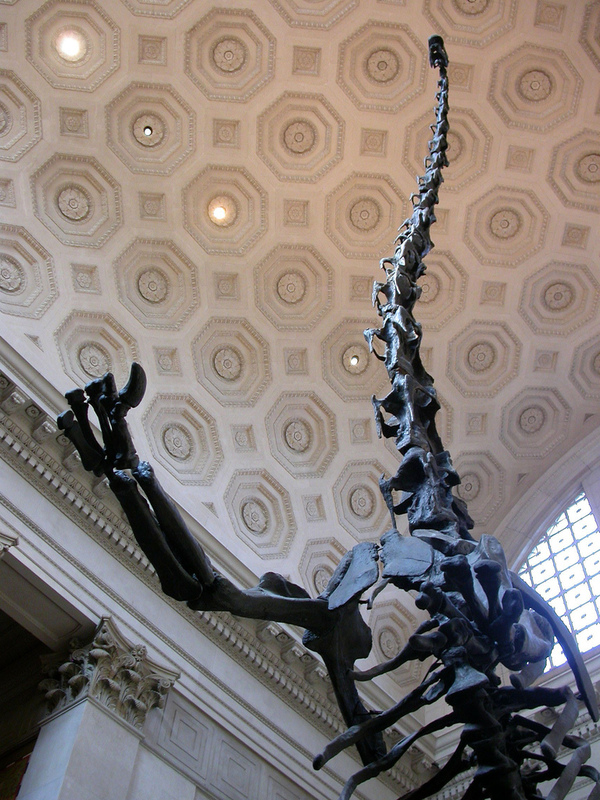 AMNH Barosaurus, from an angle you may not have seen before. 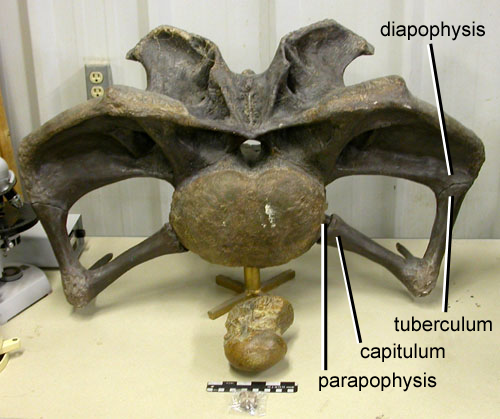 There’s a very subtle problem here–both this skeleton (the “mommy”) and the juvenile hiding behind it (the “baby”) are reconstructed with 17 cervicals, although to the best of anyone’s knowledge, Barosaurus only had 16. Nitpicky? Sure. But to me, making an already ridiculously long-necked dinosaur even more outrageous by sneaking in an extra vertebra is–at the risk of offending the British 2/3 of the SV-POW! creative team–just not cricket. Stay tuned during 2008–we’ll see if the three of us can keep this up for an entire calendar year. Now that the Xenoposeidon frenzy is over, we seem to be settling down to about one SV-POW! post per week … which on the face of it is not too unreasonable for a blog with “of the week” in its title. To my shame, I have to admit that I paid almost exactly no attention to the tail while I was there, for what seemed like a perfectly sensible reason: I was (and still am) working on another Tendaguru brachiosaur, and my specimen has no caudal vertebrae, so this tail was no use to me for comparative purposes. I know, I know, how dreadfully utilitarian. I don’t believe I’d make that mistake today. Janensch (1950a) figured two nearly-complete caudal sequences of B. brancai, in plates II (specimen Fund Aa) and III (Fund D), and described these two plus a third, Fund no, in his description (p. 60). In a separate paper, Janensch (1950b:98) explains that the third tail skeleton, Fund no, was used for the skeletal mount in the public gallery, so the tail skeleton in the collections must be either Aa or D. Judging by eye it more closely resembles the elements in Plate III, so I guess it is Fund D. Don’t quote me on that, though. I must get back over there some day and check. Actually there are lots of good reasons to return to Berlin now. 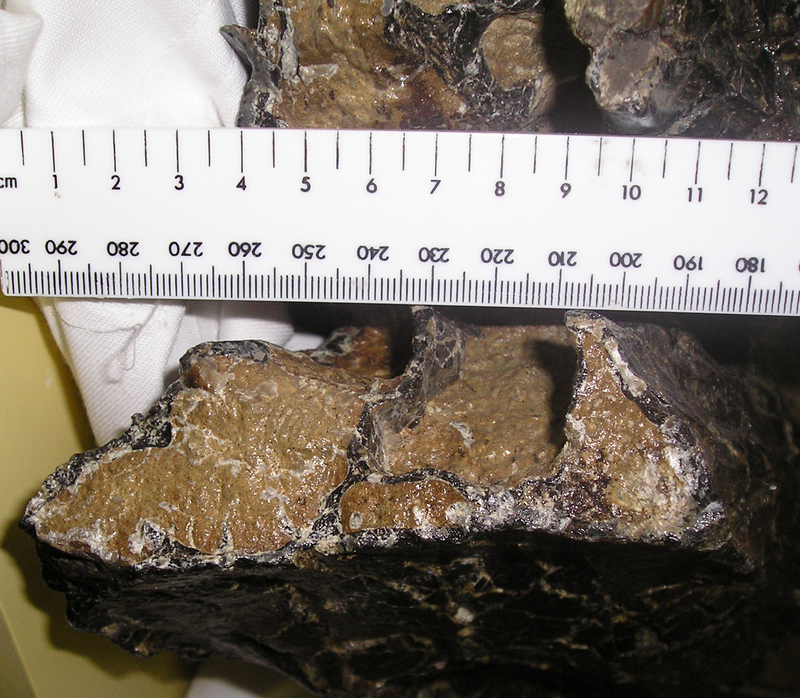 The remount of the big brachiosaur skeleton is done, and it looks absolutely spectacular. (My thanks go to Gerhard Maier, who sent me a CD full of photos that he took of the new mount.) Also the collections are open again for the first time in a couple of years. Also, I am nowhere near as ignorant now as I was when I made my earlier visit. And, finally, there is a sushi restaurant just around the corner from the museum (why not?) which, foolishly, does an all-you-can-eat fixed-price deal. I don’t think I actually drove them out of business when I was there before. but it must have been a close-run thing.